Regulators have stepped up efforts to protect seniors from being taken advantage of with respect to their investment portfolios. “As clients age, most will experience at least some cognitive decline around finances and a number will develop dementia,” says Dr. Carolyn McClanahan, an MD and Certified Financial Planner and founder of Life Planning Partners. To protect elderly clients, regulators are putting rules and legislation in place, says McClanahan, noting developments at the Financial Industry Regulatory Authority (FINRA) and the North American Securities Administrators Association (NASAA), in particular. 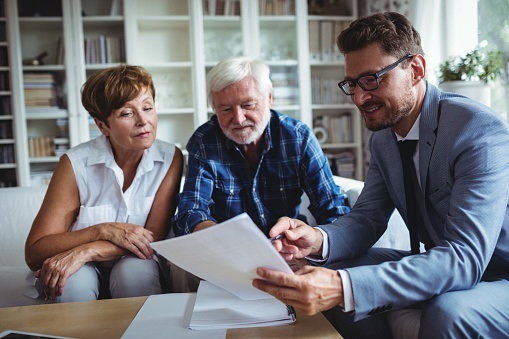 CFPs, Personal Financial Planners (PFPs), and CPAs that advise clients should be aware of the risk of elder financial abuse, recognize the signs, and note the new regulations. Action by FINRA was prompted, in part, by the more than 8,600 phone calls it received within two years of the launch of its Securities Helpline for Seniors. permit brokers to place temporary holds on disbursements of funds or securities from the accounts of specified customers where there is a reasonable belief of financial exploitation of these customers. persons age 18 and older who the broker reasonably believes has a mental or physical impairment that renders the individual unable to protect his or her own interests. The Securities and Exchange Commission is also taking action, having announced earlier this year that it will be placing extra scrutiny on those who advise senior investors. McClanahan notes that NASAA has created model legislation for states to require advisers to have processes in place to freeze transactions when there is a concern about fraud or abuse and obtain training to identify cognitive issues with aging. Another important consideration for CFPs, PFPs, and CPAs is compensation for advisory services. In an article published earlier this year on CNBC.com, Jeff Magson, CRPC and executive vice president at 1st Global Research and Consulting, talked about the importance of fee diversification. “Behavioral financial advice, risk-management strategies, estate planning and charitable giving advice are all critically important concerns of today’s individual investors,” said Magson. He noted the importance of the advisor’s expertise being applied on an ongoing basis to meet clients’ needs. “Therefore, an advice-based fee model (financial planning and service for a fee) offered in conjunction with an (Assets Under Management) or commission-based model is the means by which to deliver it properly and profitably,” says Magson. Learn more on Oct. 24 from McClanahan, Magson and other experts at the MACPA’s 32nd annual Personal Financial Planning Conference. Join us in-person at the Sheraton Baltimore North in Towson or via simulcast.